What I Want to Win: I'm not really sure, since I haven't read too much new MG fiction, but I'd love to see The Year The Swallows Came Early by Kathryn Fitzmaurice on the list somewhere. My Thoughts:-Even though I didn't love When You Reach Me, so many people did and the buzz hasn't died down. The fans of this book can be passionate about it, so I wouldn't be surprised if it won. My Thoughts: Marcelo is another one that readers seem to love that I liked, but didn't think was great. I do think it reads like an award winner and it's very much a book I would give to adults who think YA is just fluff. It's a good read, but I don't want it to win because I think it has more adult appeal than teen appeal. I'm rooting for Lips Touch because I thought that book was amazing! Each story stood on it's own, it was dark and delicious storytelling and I want to buy my own copy and underline passages because they were so beautifully written. UPDATE: Katie reminded me of Wintergirls by Laurie Halse Anderson (which I haven't read yet) and If I Stay by Gayle Forman, which I loved. I think both books have a chance of getting honors, but I'm not sure they'll win. But I'd love to If I Stay get a shiny honor sticker on it!! My Thoughts: It's the most gorgeous picture book and it deserves the buzz-I hope it wins and I think it will. I would also love it if 14 Cows For America by Carmen Agra Deedy and Illustrated by Thomas Gonzalez makes an appearance on this list. This one made me cry and the artwork is beautiful and incredibly realistic and pulls you in. 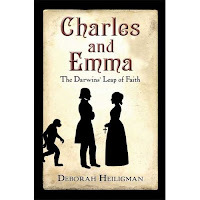 I'm also pulling for Charles and Emma: The Darwin's Leap of Faith by Deborah Heiligman to make it on one or more lists-I could see it on the Sibert list, Printz or Newbery. Any non-fiction book that makes me excited and care about reading non-fiction deserves an award! I loved the author's use of letters as dialogue in this one and it was so lovingly researched and the writing made these people seem more real to me. It's a great read, even if you don't typically read non-fiction. I love when the committees come up with complete surprises and shockers and I can't wait to see what's announced on Monday. Any predictions you'd like to share? A lot of people are thinking that When You Reach Me might win the Newbery... to be honest, the more buzz I read about it the more I'm afraid it won't win! I think the writing in Lips Touch is positively gorgeous. I would love to see it win an award. Or be short listed. Something :) I still haven't read When You Reach Me but the L'Engle tie-in makes me want to give it a try. 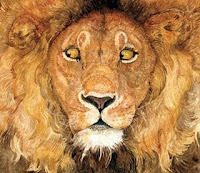 I had a copy of The Lion and The Mouse and thought it was absolutely beautiful. I considered keeping it for myself but decided to share it with my 5 and 10 year-old nephews. They love it too. I haven't read the other books you've mentioned but I'll be looking for them now. They sound great! Thanks for your predictions and I bet you're right on the money! I'm pulling for "Wintergirls" or "If I Stay" for the Printz. I know "Marcelo" got great buzz and is probably a fabulous book, but my teens have never checked it out. I don't think it has good teen appeal. Fingers crossed for When You Reach Me, but like Abby said I worry all the buzz will push it out of winning! It seems like Newberry winners are less know. I too am rooting for Lips Touch. I can read it over and over again for it gorgeous writing. Abby-I'm not sure if the buzz will help or hurt When You Reach Me. It could go either way. Natalie-LOVE Lips Touch-it needs an award for sure. Wrighty-Thanks! We'll see if I get any right. And that's exciting your nephews loved The Lion and the Mouse-it's such a great book. 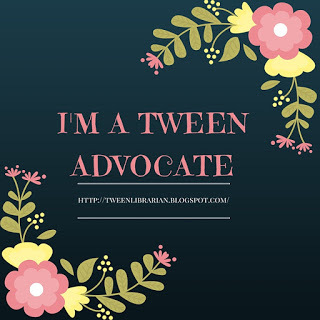 Penniee-I'd love to know your thoughts on When You Reach Me. Katie-I think Wintergirls and If I Stay will be on the list too. My copy of Marcelo hasn't moved much either. It seems more like a book written for adults with a young character. Jill-Yeah, somtimes they are out of the blue. I always like the surprises! Lenore-I can read it over and over again too. We'll keep our fingers crossed! Great predictions. I enjoyed When You Reach Me very much and it is, by far, the most buzzed about book. There's a special place in my heart for The Small Adventure of Popeye an Elvis by Barbara O'Connor and for Love, Aubrey by Suzanne LaFleur. I love, love. love, no, strike that, adore, adore, adore Lion and Mouse. While I loved Marcelo in the Real World, I loved Going Bovine more. I've heard some talk about Love, Aubrey, but haven't read it. And I still need to read Going Bovine! I'm in complete agreement about Marcelo. I loved it, but I don't think the teen appeal is really there. It's exactly as you said, a book you'd hand to adults who think YA is just fluff. I am rooting for When You Reach Me and Lips Touch--and All the World for the Caldecott! Looks like you are pretty good at picking winners! I'm excited to check out the Lion and the Mouse--haven't seen it yet!